3d printing services are amazing, right? Yes, we all agree on this point. It’s extensively used in a variety of domains including industrial applications, medical science, fashion and many more. But have you ever thought about using this fantastic services for cooking food? It’s not crazy, it is true. 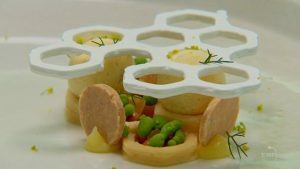 In the most popular food competition show MasterChef Australia, contestants Hoda Kobeissi, Ben Borsht, Chloe Carroll and Genene Dwyer did something out of the box and stunned everyone right out there. They used a food 3d printer to make a dessert called “lemon meringue pie”. In the competition, they had only three hours to do something unique yet pleasing to taste buds. They decided to implement applications of rapid prototyping services to plan their execution of the dessert. 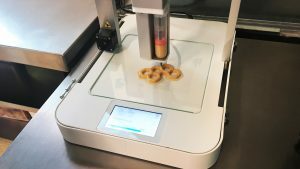 The 3D food printer using a combined nozzle set, powdered material and a couple of other things make this magic happen in real. Which part of the dessert was prepared using the 3d printer? As we all know that preparing the whole dessert using 3d printing is not possible due to many obvious reasons, you may be curious to know, which part was prepared using this? “The caramelized white chocolate base” was printed out of the nozzle of the machine. This is because the texture of the chocolate is adaptive, you can shape the chocolate at a certain temperature. Once the chocolate is printed out, it will settle at the room temperature and become hard. If you are also planning to curate something out of chocolate, then there are many 3d printing service Australia companies which provide such facilities. MasterChef is all about fancy things, right? 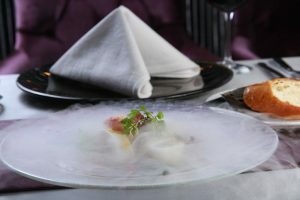 The contestants also used the liquid nitrogen for finishing their dessert with snow made up of “ginger”. They used liquid nitrogen to create microparticles of ginger for spreading it over the dessert. If you are also having such idea and need online 3d printing, then you must have a look at our 3d services. What are people saying about this dish? People are having mixed opinions about this innovation. Some are saying that they got completely flabbergasted and on the other hand people are just okay with it. Whatever the opinions are but this one of the coolest use of 3d printing. Now, People are more curious! As this technology is being shown on the competition, people are more curious to implement their idea. There are many 3d printing service Melbourne hubs which are providing a wide range of 3d applications to people so that they can hands on their it.